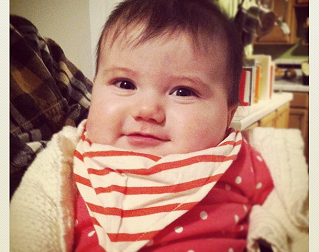 Here is my Frugal Baby Tip - we always keep a small stack of bandanas in our backpack diaper bag. We are learning what the cowboys learned, and more. They are thin, lightweight, wash well, don't show stains, and are pretty much indestructible. 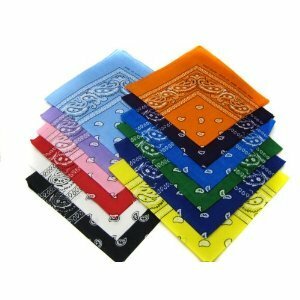 We use them for hats, scarves, diaper changing pads, bibs, light blankets, drool catchers, nursing shawls, washcloths, teethers, blindfolds, doll blankets and doll slings, and of course, for handkerchiefs. You can also read Cowboy Bandanas: Uses and Abuses about the banadana and where they came from and what they can do. They rinse out well on the spot and, if you hang them on a stroller bar, they are dry again within an hour. You can get them for about $10 a dozen, and if you shop online, you can get them in just about any imaginable color or pattern. Thanks to Kim McKay for this Frugal Baby Tip!